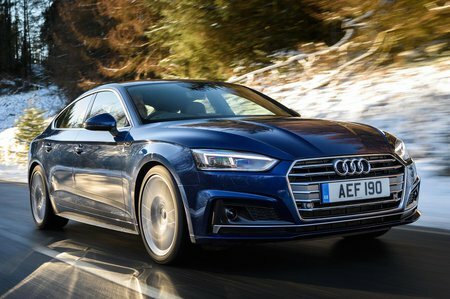 Audi A5 Sport Review and Deals 2019 | What Car? Entry-level model comes with sat-nav, a 7.0in touchscreen, four-way lumbar support (for the front, heated sports seats), faux-leather seat trim, xenon headlights, LED ambient lighting, front and rear parking sensors, keyless go, cruise control and 18in alloy wheels. We’d still recommend adding the Technology Pack, which includes the excellent Virtual Cockpit and an upgraded infotainment system.